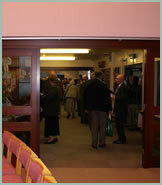 Welcome to Trinity Methodist Church which is situated right in the heart of Oadby, which borders on the city of Leicester. 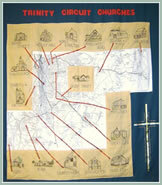 As a church at the heart of the community, we naturally serve a wide geographical area. Our congregation represents a variety of local people, others who come from further afield and visitors; including people of all age groups from a variety of ethnic backgrounds. Our Sunday worship blends both traditional and more informal elements. We are known for a strong sense of the presence of God, relevant Biblical preaching and teaching, and enthusiastic congregational singing. Here you will find a strong lively Christian Community, with considerable depth of faith and spirituality, real love and concern for people and a breadth of vision and social concern. Here every individual matters. Through the worshipping life of the Church, week by week we renew our vision and receive the grace of God. We are open to the guidance of the Holy Spirit, and through our worship, our prayers and our actions, we seek always to be faithful representatives of Christ, proclaiming the good news that God loves everyone. 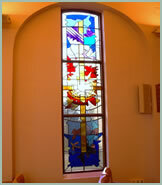 The Church is part of the Leicester Trinity Circuit and is also part of the Methodist Church of Great Britain. There is a busy range of weekday activities at Trinity, both those directly associated with the Church and some which hire the premises.